Kulttuurikauppila Art Centre is an idyllic old residence nearby Oulu. 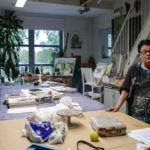 For past ten years Kulttuurikauppila has worked to improve the position of visual artists in northern Finland and to create international connections in the field of art. KulttuuriKauppila runs an international artist residency programme (KulttuuriKauppila AiR), produces the Art Ii Biennale & Valto Pernu Photo Marathon and provides studios for local artists. Director Merja Briñón told us about development of artist’s residency, especially intentional connections are very important. During these years, many international guests has visited at the Art Centre. 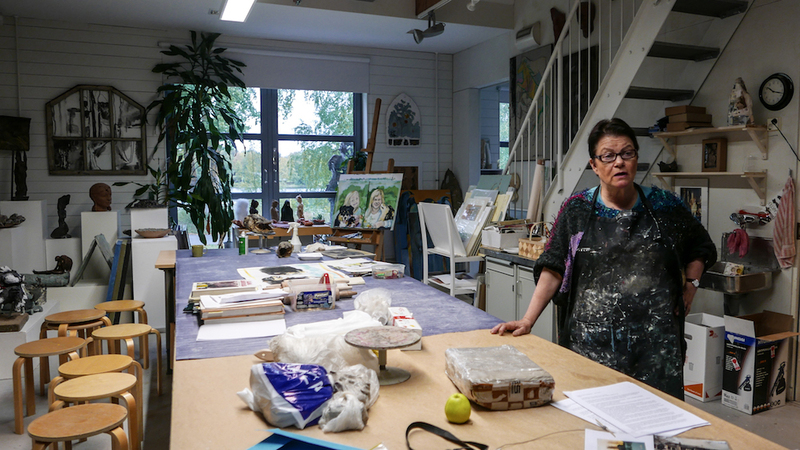 We had also guided tour to a studio of well-known Finnish visual artist Sanna Koivisto. 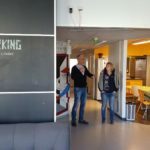 Co-work by OP lab is located in the centre of Oulu. It’s a place to work, meet people and organise events – it’s a creative space where you can rent your own space with reasonable price. Spaces are aimed to freelancers and self-employed people. At the moment, there is about 20 members. 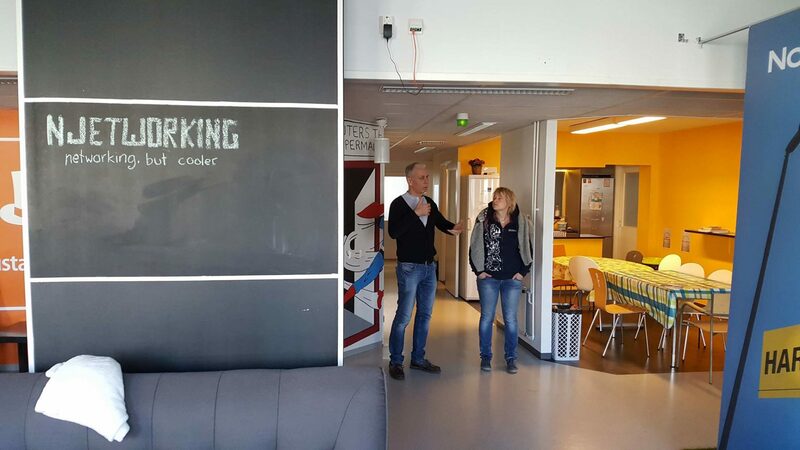 Co-working space is a new concept and now they are in piloting phase. Interesting was the fact that the main floor was open to everyone, without any fee. 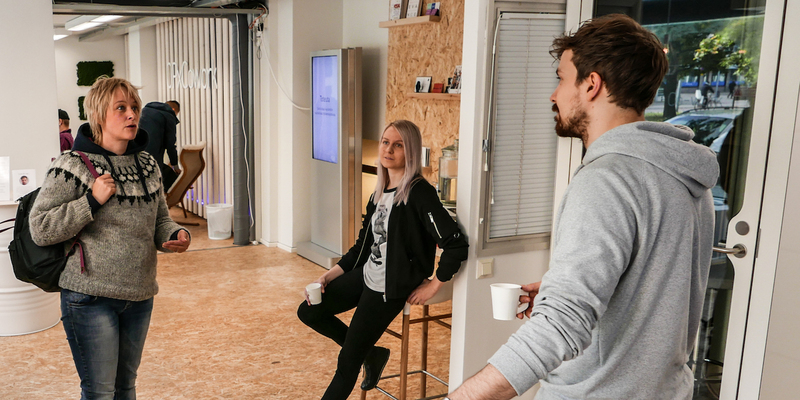 Anyone could come in, sit down and start working – or just to meet people. 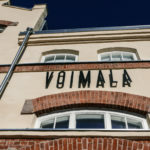 Voimala 1889 is located in the centre of Oulu. This old water power plant is now renovated for art and event space. Entrepreneurs Antti Kaarlela and Antti Kairakari from Whatevergroup are now running the place. They have opened the place just some months ago and during this time they have had many exhibitions and art events. 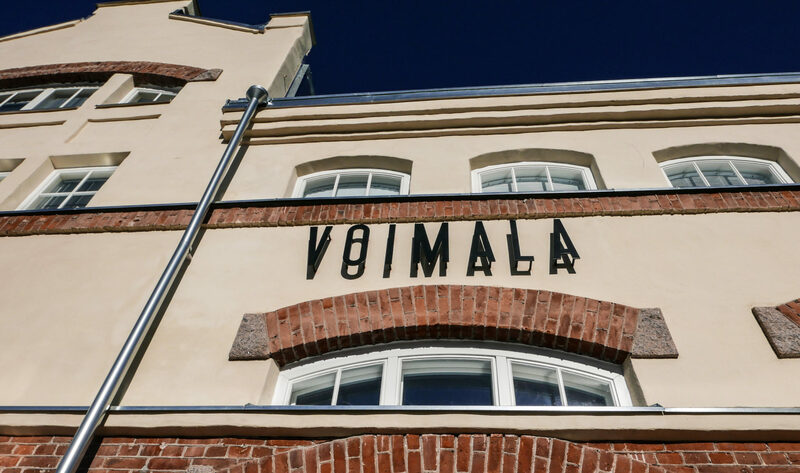 At the moment, they are running a photo-exhibition and in the evenings Voimala 1889 organises different kind of music events and happenings.